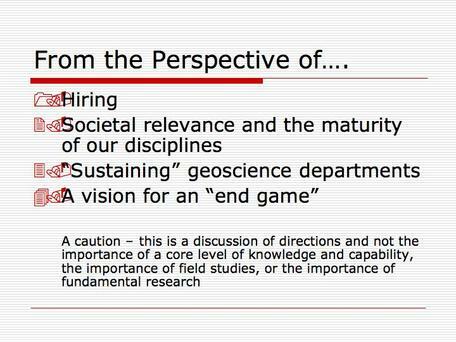 Geoscience is becoming increasingly interdisciplinary and applied as we attempt to tackle societally important issues. 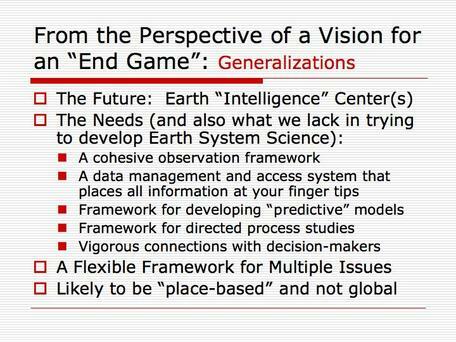 Addressing these complex, globally pressing "grand challenges" will require an Earth System Science approach. 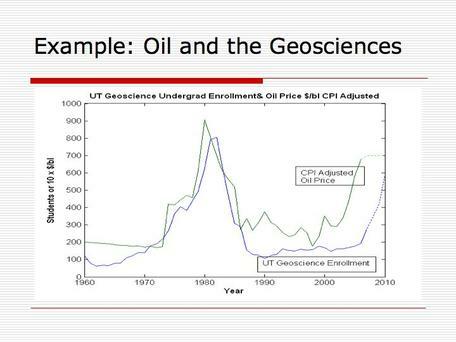 Provenance: Photo from the University of Texas at Austin Jackson School of Sciences website. 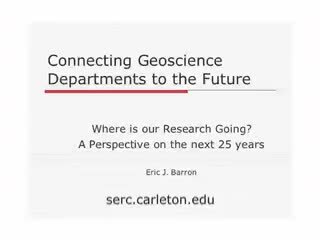 This presentation, by Eric Barron, was given at the April 2007 workshop on Connecting Geoscience Departments to the Future of Science: New Structures for Research and Curriculum. 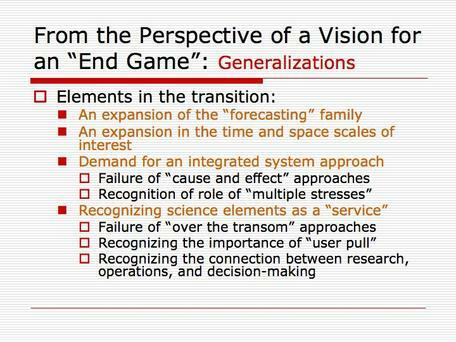 To view his presentation, click on the "play" arrow below. You can also download the original presentation (PowerPoint 156kB Apr26 07) if you like, or scroll down to view the slides and a written summary. 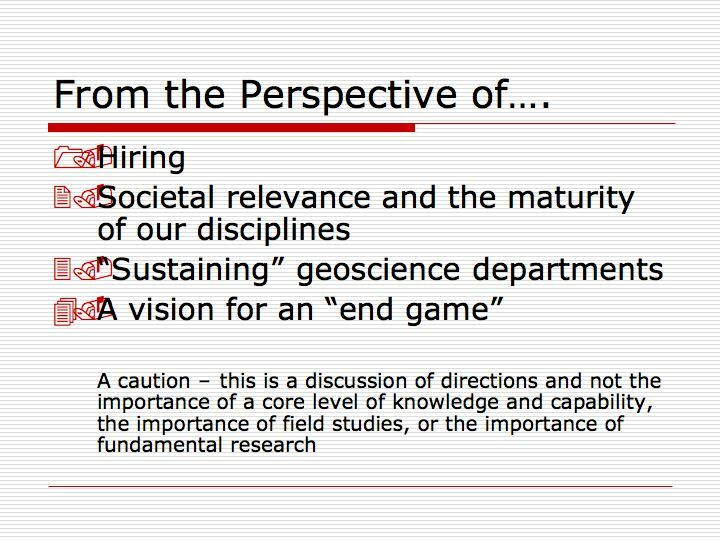 This presentation looks at the question of where our research is going from four different perspectives: hiring needs, societal relevance, the need to sustain our departments, and the need for a true Earth System Science perspective. 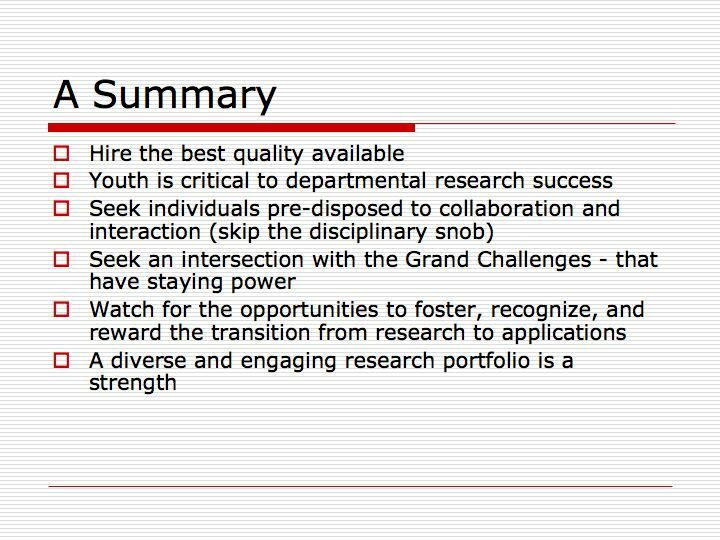 We hire people whom we expect to be successful in research. 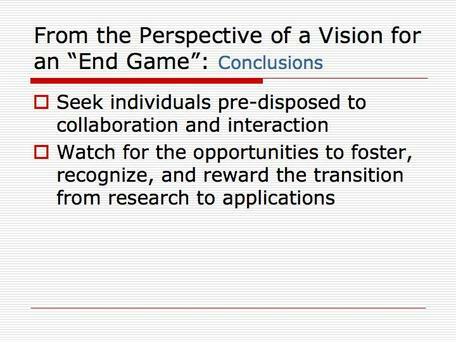 Our collectively written vision documents focus research funding, and available funding drives research. 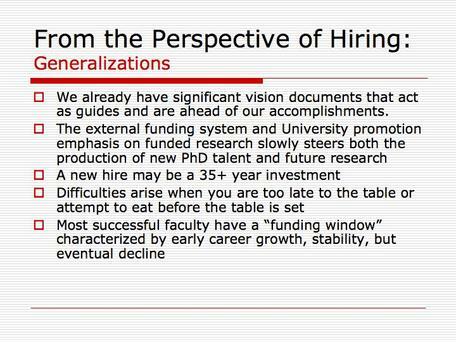 From the perspective of hiring, then, our research tends to go where our vision documents say it is going. This process creates a pool of talented individuals who are working on the kinds of research questions we think are important. From that pool, we want to hire the best quality individuals. 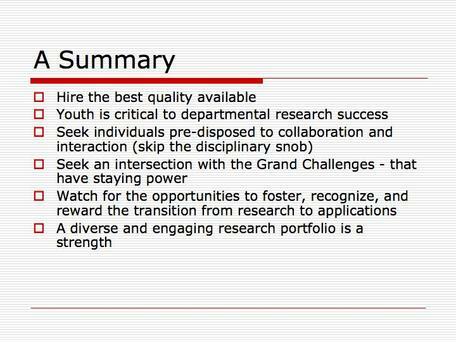 Qualities to look for include youth and predisposition to collaboration. 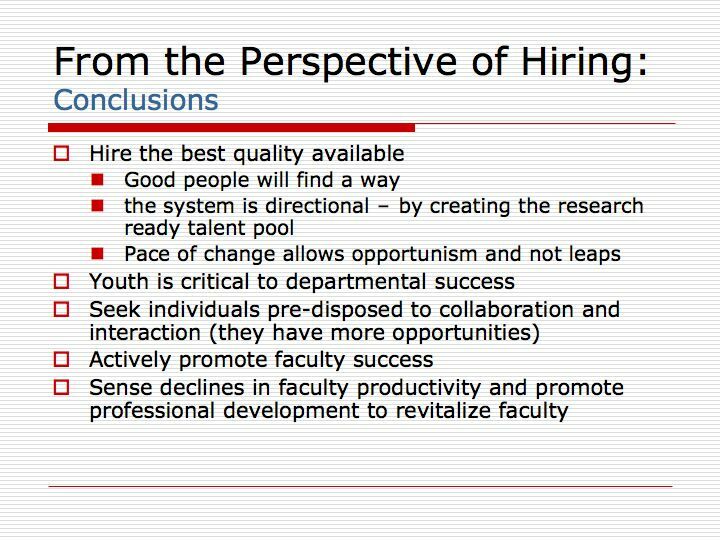 Youth revitalizes a department, and faculty members disposed to collaboration will have more opportunities than others. 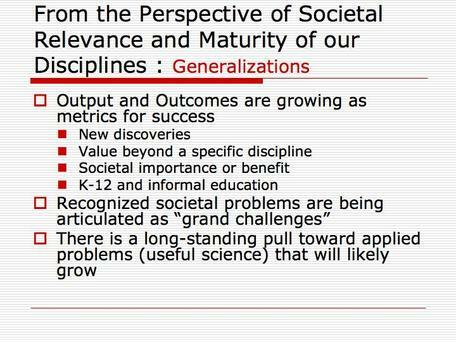 Societal relevance is an increasing factor in research funding. NSF wants to know how your results will have a broader impact—beyond your discipline. 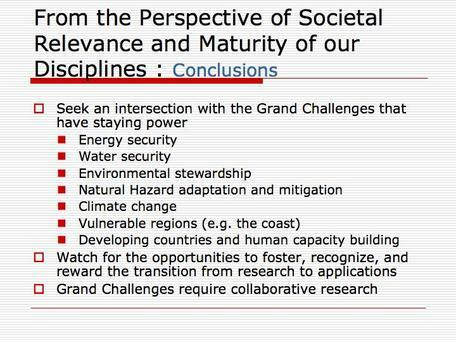 Increasingly, geoscience-related societal problems are recognized as grand challenges - excellent topics for research efforts. 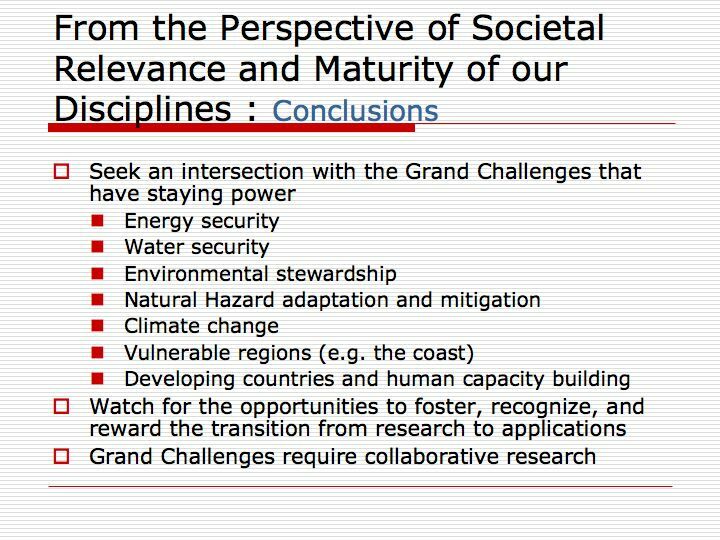 These grand challenges will not go away, and it will require collaborative efforts to understand and begin to solve them. In fact, developing solutions to these challenges will require collaborations outside of science, in the fields of public policy, business, and beyond. To preserve our departments, we must convince administrators that we play a vital role in the institution. 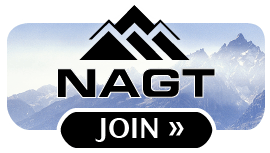 In an increasingly tuition-driven economy, that means increasing enrollments in our courses. 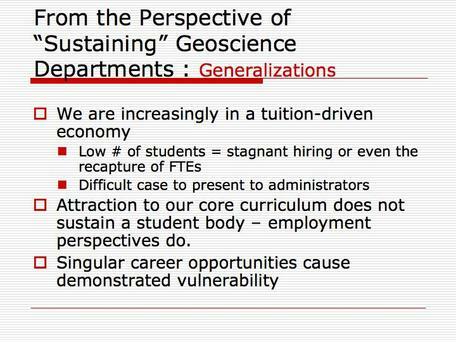 To attract students, we need to focus on employment opportunities. And we need to offer more than one employment track to stay viable in a variable economy. Focusing our attention on only one employment sector can have severe consequences. 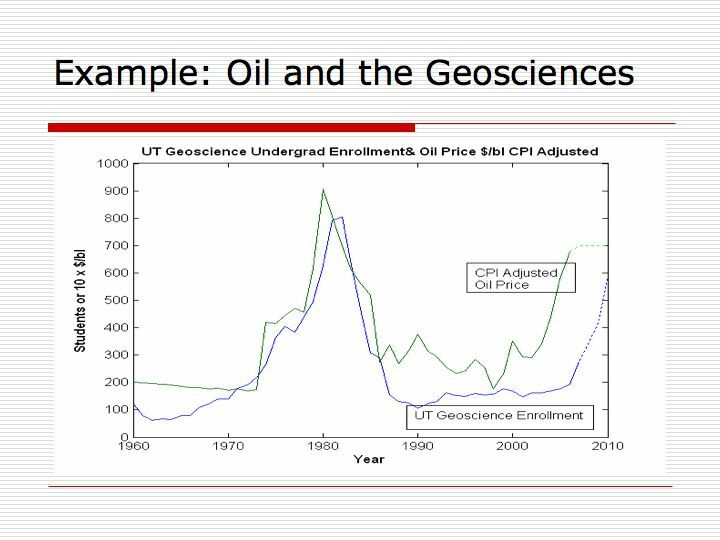 The University of Texas geoscience undergraduate enrollments parallel employment levels within the petroleum industry. 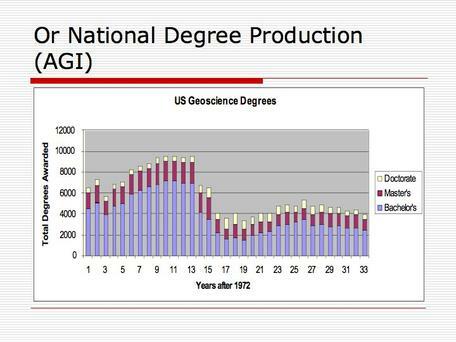 When the industry suffered an abrupt decline, so did geoscience enrollments. 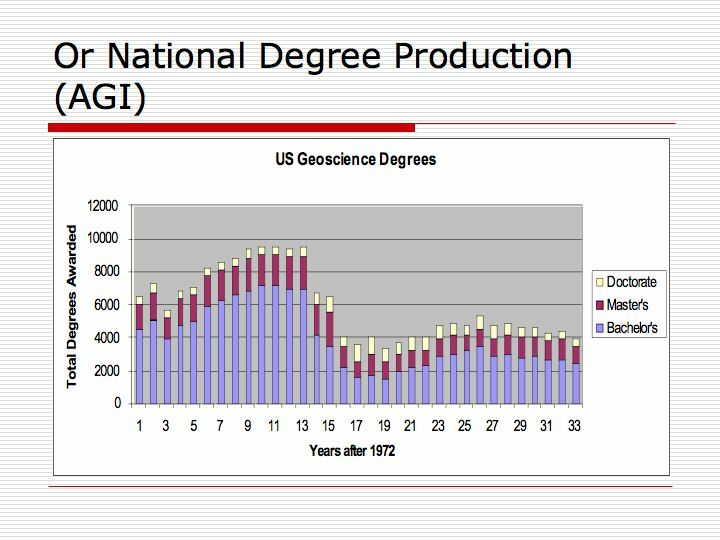 National geoscience enrollments, too, have paralleled employment levels within the petroleum industry in recent decades, demonstrating an ignorance of employment opportunities in geoscience beyond the petroleum industry. 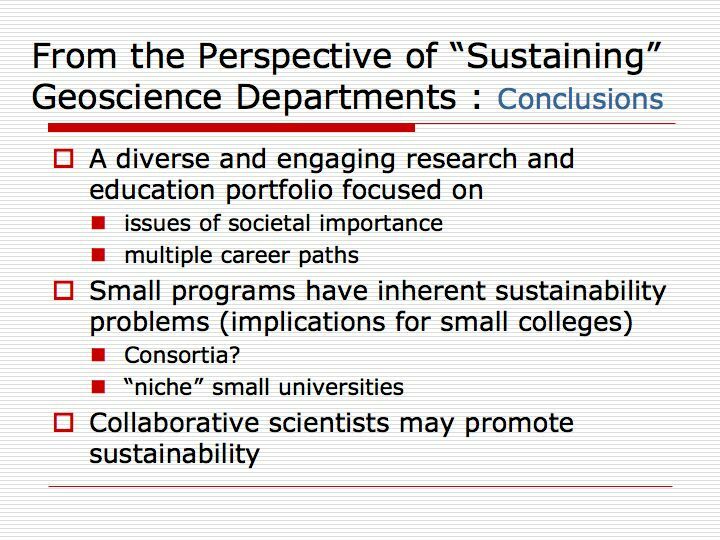 To sustain our departments, we need to establish diverse and engaging programs focused on societally relevant issues and multiple career paths. 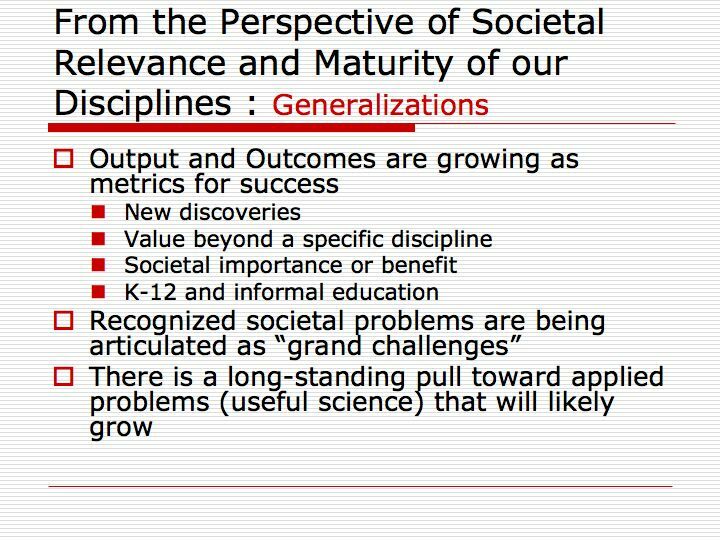 This presents particular challenges to small programs, though forming consortia or building niches may be good strategies. Collaboration can also help address these challenges. 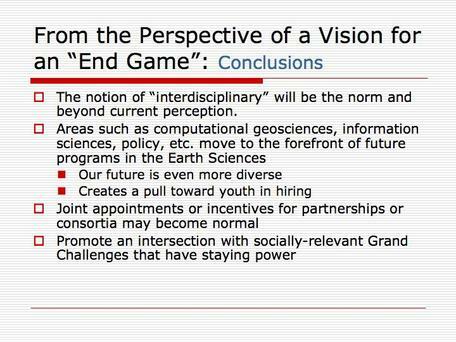 A vision for an "end game"
Earth science research is beginning to make a significant transition, toward science in service to society. 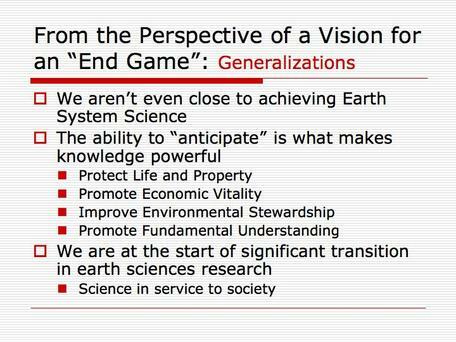 Toward that end, Earth System Science has the potential to be an extremely powerful tool. 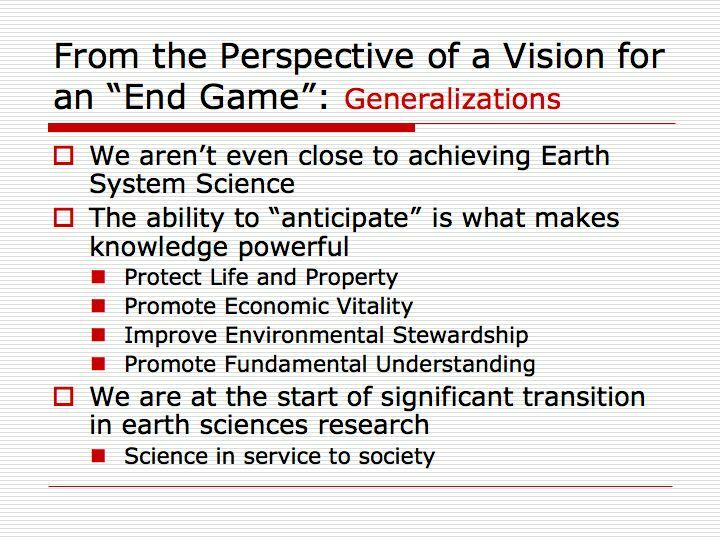 The better we understand the Earth as a system, the better we will be able to make valid predictions, with profound implications for human life, safety, and welfare. 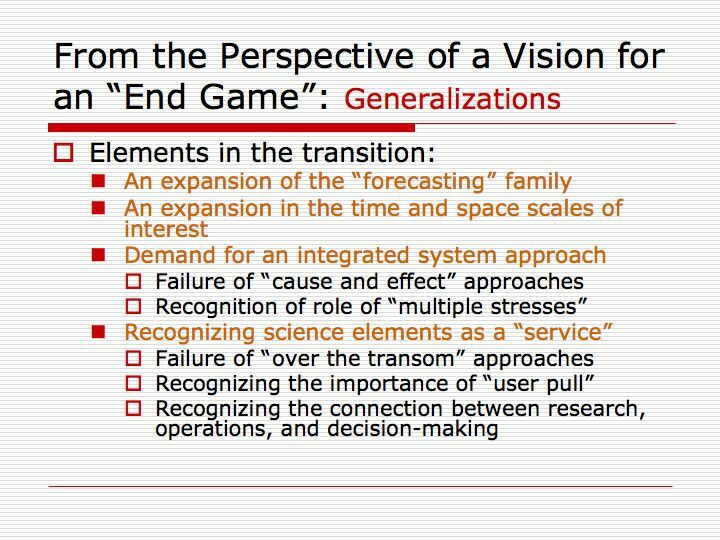 This transition involves an expansion of activities related to forecasting, an expansion of temporal and spatial scales of interest, demand for a systems approach to geoscience-related questions, and a recognition that scientific pursuits are far more meaningful if we use science to inform public policy decisions. Simply doing "pure science," without regard to its usefulness, is no longer enough. 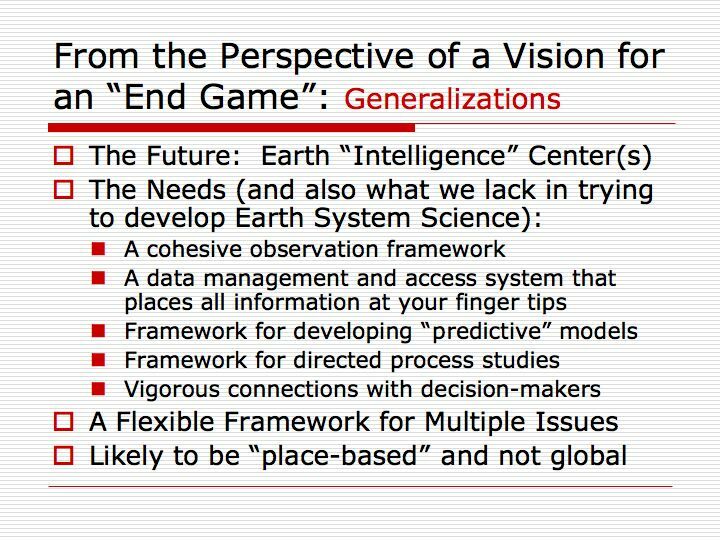 Following this trend forward, we can expect to see the development of many more geoscience data collection and modeling centers, of predictive models, and of strong connections to decision-makers. Predictions will likely focus on conditions in specific places, rather than on a global average; nobody turns on the radio to find out what the globally averaged temperature will be that day. 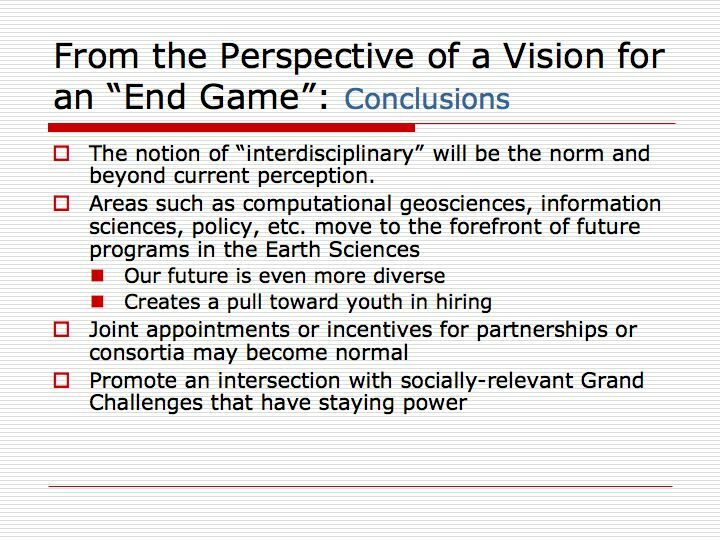 From this perspective, the future of geoscience research will be increasingly interdisciplinary, computational, data-intensive, practical and policy-oriented. 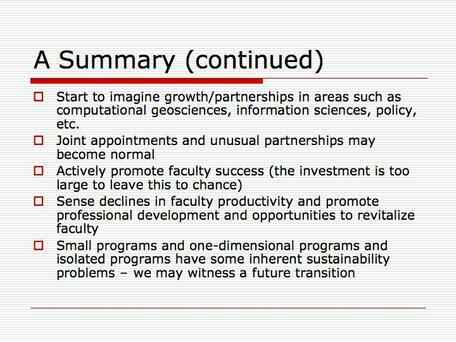 It will foster and reward joint appointments, partnerships, consortia, and collaborations of all kinds. 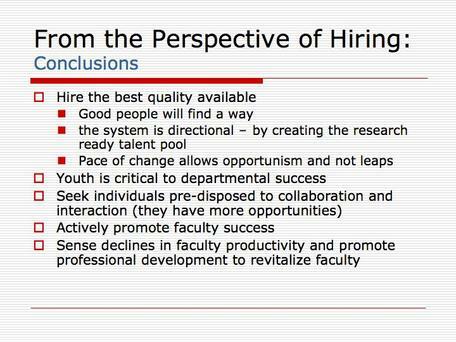 To position your department at the forefront of these trends, seek individuals pre-disposed to collaboration, and work to foster and reward the transition to applied, societally-relevant research. 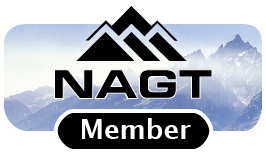 Hire the best quality, youthful individuals who want to collaborate. Seek opportunities to help solve the grand challenges facing our society. 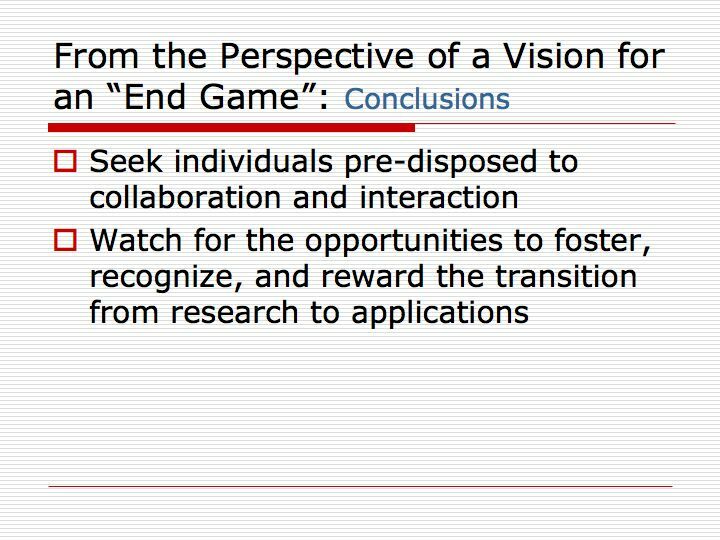 Foster and reward the transition from "pure" research to applications. Create a diverse and engaging program. 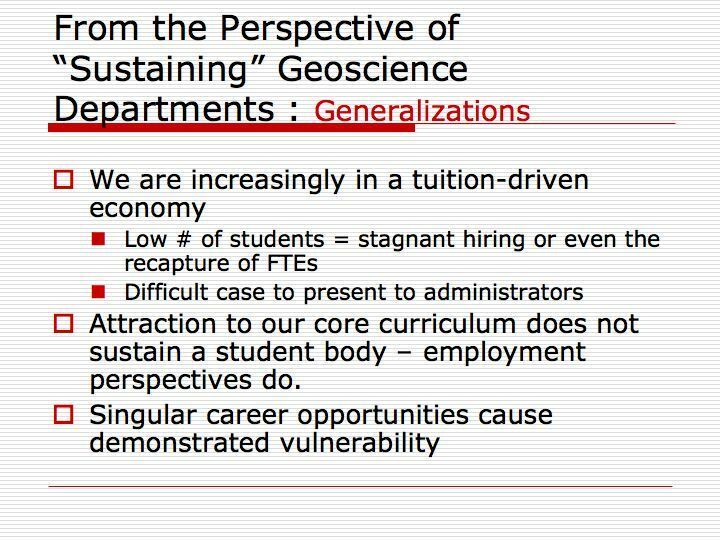 Seek opportunities in computational geosciences, information sciences, public policy, and other areas of growth. Expect more joint appointments and partnerships. 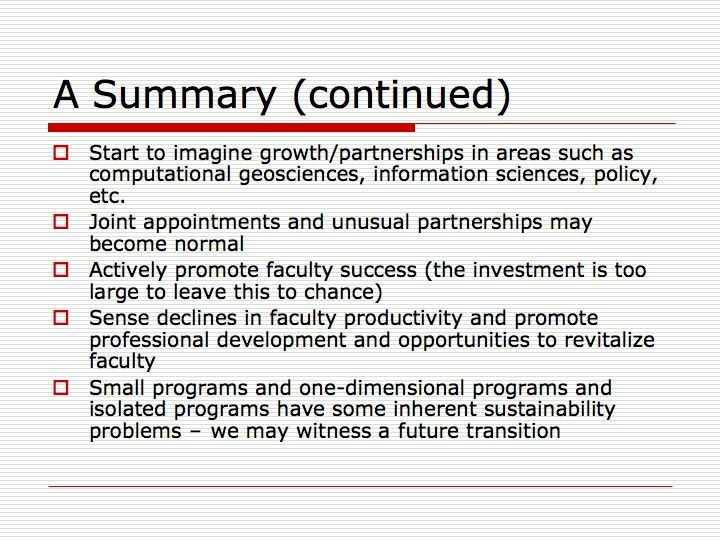 Support mature faculty through faculty development and other revitalizing opportunities. 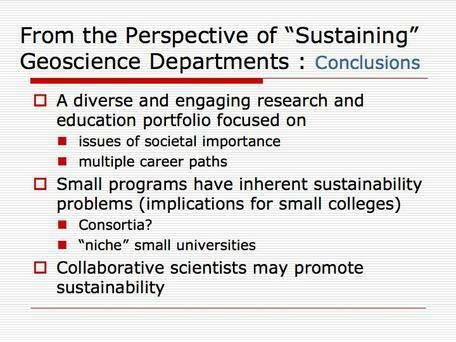 Small or isolated programs will need to be creative to find ways to thrive in this changing climate. 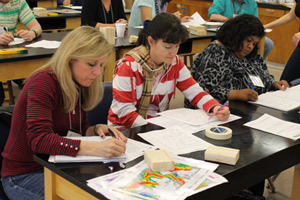 Photo from the University of Texas at Austin Jackson School of Sciences website.